Every time I post about my hand quilting on instagram, I get a lot of questions. I thought it would be easier to make a permanent place for those answers to be stored here on my blog. Nothing in this post is sponsored. 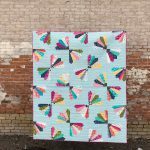 It is just my opinions on things I want to share to hopefully make someone’s life a bit easier in the hand quilting sense. 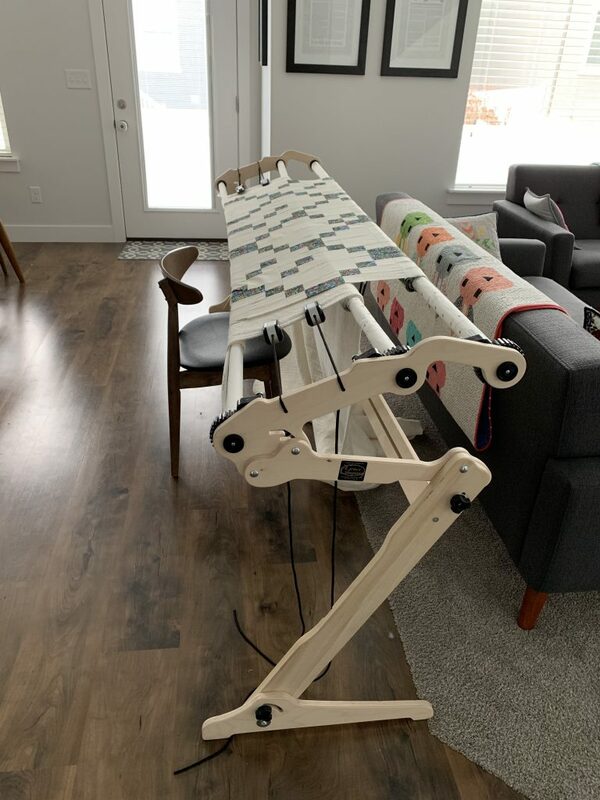 Last year, my husband’s aunt asked if I would like her Grace Company EZ2 hand quilting frames. I immediately jumped at the offer. Thankfully we have an unfinished basement and an easy way to store the frames when they are not in use. 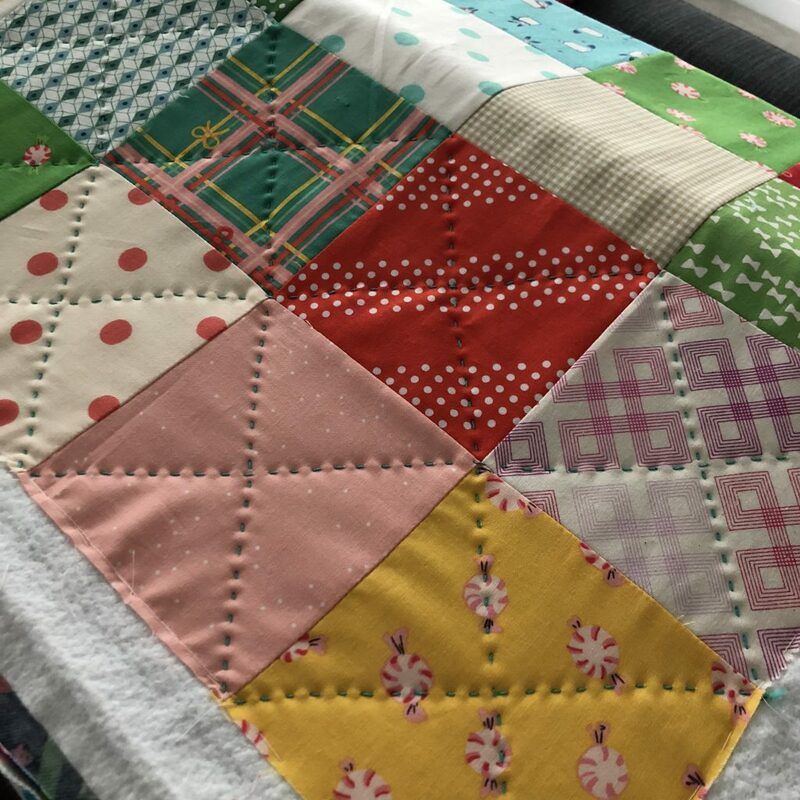 Because the set up does take a few minutes, I usually wait until I have 2-3 quilts that I would like to hand quilt before we get the frames out again. Every 6 months, the church that I belong to (The Church of Jesus Christ of Latter-day Saints) has a general conference for the entire worldwide membership. It spans 2 days and many hours of listening to inspiring messages from our leaders. I find it extremely helpful to have a handwork project to do during those hours of listening to help me focus and stay awake. 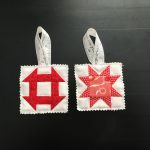 🙂 This Saturday and Sunday happen to be general conference and I am so excited to get my hand quilting going while listening. 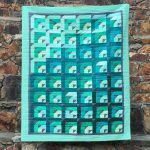 I find the hand quilting frames extremely helpful to my overall process. 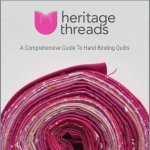 I have tried hoops, pin basting, spray and pin basting, basically every method I could try for hand quilting. I have even done it with a very different hand quilting frame set up that my mom has. This is by far the best set up. It takes about an hour for me to get my quilt loaded and ready to go. There are several helpful youtube videos that Grace Company has produced that I reference every time, just to make sure I am doing it correctly. As far as supplies go, I do find that batting type matters quite a bit. If it’s a cheap batting, there is lots of bearding that happens as you pull the thread through. It just requires some trial and error before you can decide on a batting that works best. I use #8 Perle Cotton as my thread. I LOVE the chunky look of this thread. I feel like hand quilting takes so much time and effort that I really like to see the stitches. 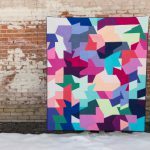 This is probably an abomination to a lot of quilters, but I love the added character it gives. JoAnn’s does stock some Perle Cotton, but they do not have a huge range of colors. If you are looking for something specific, I recommend Herrschner’s online. They have sooooo many colors. I do find that their shipping is slow and expensive. If you sign up for their emails, you can wait until there is a shipping deal if you are not in a hurry. I also buy 2 skiens at a time of every color I choose. For most quilts I use 1-1.5 skiens and you just never know when you’ll need more than 1. It is such a pain to get most of the way done to have to wait on more Perle Cotton to arrive. I never mark my lines. This is usually an adventure, but I just am not particular enough to care that things are perfect. 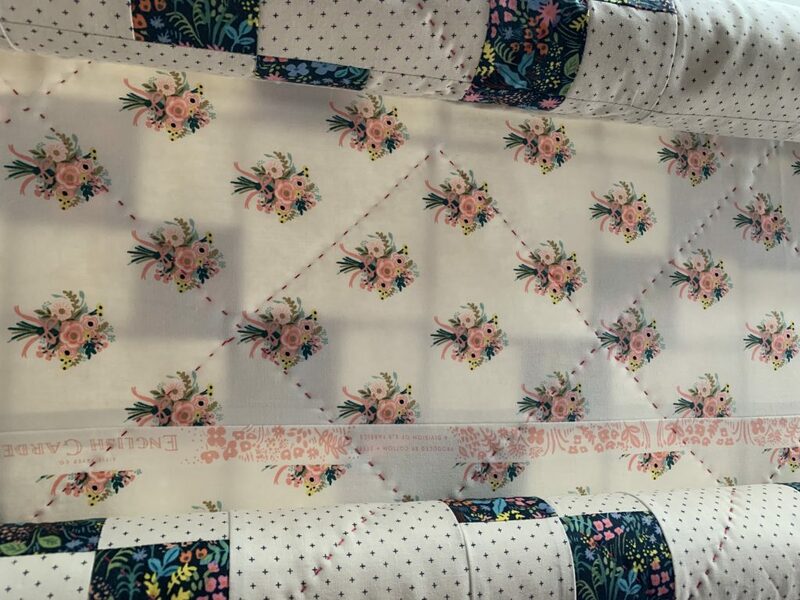 If this is something that matters to you, I suggest you mark your lines before you load your quilt (or pin baste it or whatever your preferred method is if you don’t have hand quilting frames). I use embroidery needles instead of a smaller needle. The heads are large enough to fit the Perle cotton easily without much fuss. I also could not do this without my Clover Leather Thimble. I use this for quilting and binding and it is LIFE CHANGING. If you do a lot of handwork and you don’t have one of these, I promise it is worth the expense. I do a lot of hand work and I find that I usually need to replace it once a year because it stretches quite a bit with use. I order a small and after I use it two or three times, it is the perfect size. 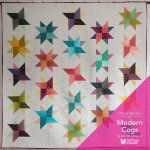 If hand quilting is something you are interested in trying, there are tons of tutorials and resources available from other bloggers. The best advice I can give is to go for it. Start with a mini or a pillow cover and go from there. 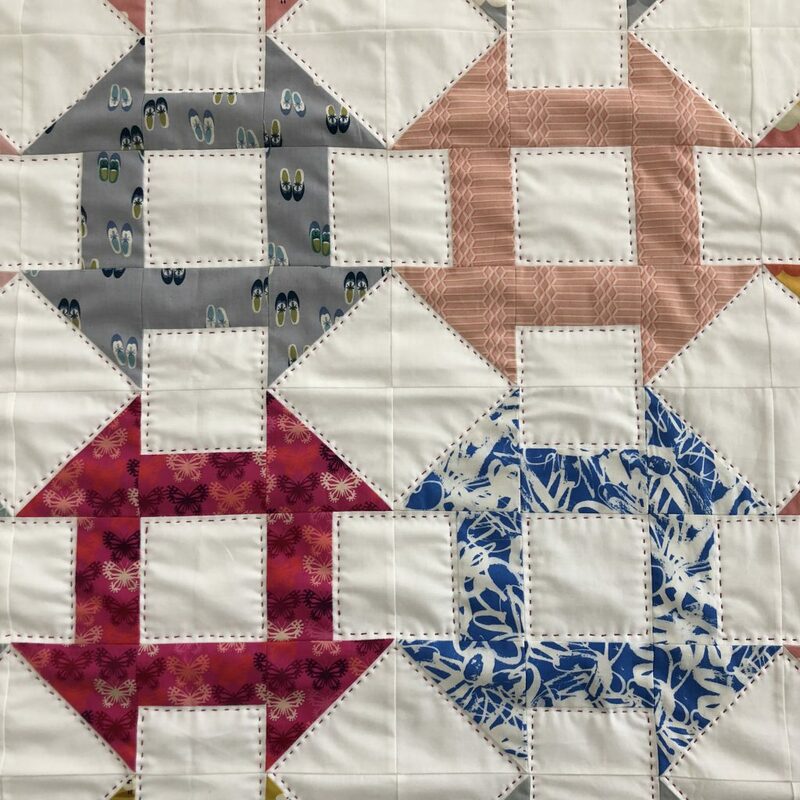 If you enjoy hand work at all, hand quilting is something that is so fun to add to your repertoire!